IMPORTANT: Welcome to PARiConnect. PARiConnect is provided by Psychological Assessment Resources, Inc., a Florida corporation (“PAR,” “we,” or “us”). Please carefully read these Terms and Conditions of Use before using PARiConnect. By accepting these Terms and Conditions of Use and subsequently using PARiConnect, you agree to be bound by these Terms and Conditions of Use. We encourage you to visit this page periodically to review our most current Terms and Conditions of Use for PARiConnect. These Terms and Conditions of Use contain important legal information concerning your rights, remedies, and obligations and create a contract between you and PAR. We reserve the right, at any time, and from time to time, to prospectively modify, amend, alter, or update these Terms and Conditions of Use. You agree to be bound by such modifications, amendments, alterations, or updates. PARiConnect is made available by PAR and provides an online testing platform for selected PAR assessment tools, giving clinicians and practitioners the capability to remotely test clients/patients. It additionally allows qualified users to present assessments online while a client/patient is in the practitioner’s office, and it may allow the PAR Customer to use his or her PAR desktop software application to gather client responses from remotely located clients/patients and run reports based on those responses. PAR does not provide clinical advice, nor should the content or results of any score and/or interpretive report obtained from the PARiConnect site be considered clinical advice. PARiConnect is not intended to be a substitute for professional psychological, psychiatric, or medical advice, diagnosis, or treatment, nor are assessment scores diagnostic. Assessments provided and presented on PARiConnect are intended to supplement, not substitute for, the diagnosis, treatment, and advice of a health care professional. PAR does not recommend or endorse any specific health care provider, procedure, or opinions. PAR is an independent publisher of psychological assessments and resources. The PARiConnect site, and the tests, reports and other results obtained from using the PARiConnect site are provided for informational purposes only. The information is not intended to constitute professional medical advice. The information is not suitable for and must not be relied upon by the user or any other person for purposes of medical care, or diagnosis or treatment of any medical or other health care condition or disease, and does not constitute a recommendation for a specific treatment plan or course of action. The responsibility for medical care, diagnosis, and treatment recommendations rests solely with the PAR Customer. If you are using PARiConnect on behalf of a business entity or other organization, you represent and warrant to PAR that you have the authority to legally bind such business entity or other organization to these Terms and Conditions of Use. In such event, both you, acting on behalf of the business entity or other organization, and the business entity or other organization for whom you act, are jointly and severally bound by these Terms and Conditions of Use and references in these Terms and Conditions of Use to “PAR Customer,” “you” or “your” refer to both you, acting on behalf of the business entity or other organization, and the business entity or other organization for whom you act, jointly and severally. Otherwise, if you fail to have the legal authority to bind such business entity or other organization or if you are not using the PARiConnect site on behalf of a business entity or other organization, you agree that these Terms and Conditions of Use are binding to you in your individual capacity and references in these Terms and Conditions of Use to “PAR Customer,” “you” or “your” refer to you in your individual capacity. As the account manager/supervisor or user of PARiConnect, you assume full responsibility for all use of PARiConnect by yourself and others within your organization. You agree that each individual who accesses and uses PARiConnect acts on behalf and for the account of the PAR Customer, and the PAR Customer is responsible for any wrongful acts, and omissions by a user, and a user’s breach or default of these Terms and Conditions of Use. You understand the professional testing standards as promulgated by the American Psychological Association (APA), the National Council on Measurement in Education (NCME), and the American Educational Research Association (AERA) and you will ensure that each user complies with such standards and policies. You previously submitted qualification information to PAR and established your credentials to acquire access to tests. You did not misrepresent your identification, education, training, or other credentials to obtain access to tests for which you are not qualified. You and each other individual who accesses and uses PARiConnect on behalf and for the account of the PAR Customer will possess the appropriate training, education, and expertise to use the PARiConnect tests acquired for use, and you will not permit any individual under the age of 18 to use the PARiConnect site or access the test results from the PARiConnect site. You accept full responsibility for insuring that administration of assessment instruments to adolescents and children ages 13 years and younger will occur within the physical presence of either yourself or a qualified user in your organization. You assume complete responsibility for reasonable and appropriate privacy policies with respect to your clients/patients. You will submit reasonable and appropriate documentation as requested by PAR to change critical security-related account information for PARiConnect access and use. You will ensure that reasonable safeguards are taken for the protection of your password. You understand that PAR does not have access to your password and that you must create a new unique password in the event that you lose or forget your password. PAR will delete your PARiConnect account and all associated client/patient records after a period of 36 months of inactivity on your PARiConnect account. You are solely responsible for backing up all data and records submitted to PARiConnect and assume full responsibility for providing backup storage facility for records for any client/patient records that are captured on PARiConnect, and you agree not to rely on PARiConnect for storage of the results of client/patient assessments. You will indemnify, protect, save, and hold harmless PAR and its officers, directors, employees, agents, servants, representatives, and contractors of, from and against any loss, injury, damage, or expense (including, but not limited to, reasonable attorneys’ fees) that PAR or any of its officers, directors, employees, agents, servants, representatives, or contractors may incur that shall arise out of, be connected with, or be in any manner related to your use of PARiConnect or the use of PARiConnect by any employee, or individual under your control and/or supervision, or any breach or default by you or by any employee, or individual under your control and/or supervision of these Terms and Conditions of Use. Your liability for indemnification survives any termination of your account or registration. The PARiConnect site and its content (including, but not limited to, all site design, text, data, interfaces, logos, button icons, legends, images, photographs, music, audio or video clips, titles, page headers, graphics, and software and the selection, arrangement, coordination, enhancement, and presentation of said elements) is the proprietary property of PAR or its licensors or suppliers, and is protected by copyright under United States law, or foreign law, or both. The PARiConnect site may be used only by you and your employees, or individuals under your control and/or supervision. 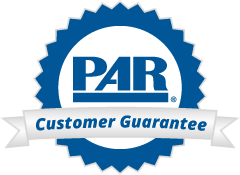 These Terms and Conditions of Use do not grant to or create in the PAR Customer, any user, or any other person any proprietary interest or intellectual property rights in or to the PARiConnect site or any assessment tools, or information or other content comprising or available on the PARiConnect site. You have no right to reproduce, distribute, create derivative or collective works of, or publicly display or perform any assessment tools, or information or other content comprising or available on the PARiConnect site or otherwise exploit such information or other content for any purpose. You may not use the PARiConnect site, or any product, or service provided by or made available on or from the PARiConnect site for any unlawful purpose. You agree to comply with all applicable law governing your use of the PARiConnect site, or any product, service provided by or made available on or from the PARiConnect site. You agree not to use any device, software, or routine to interfere or attempt to interfere with the proper working of the PARiConnect site or any activity being conducted on the PARiConnect site. Except for the nonexclusive limited right to use the PARiConnect assessment tools to conduct assessments based on the tests acquired for use, you do not acquire any right, title or interest in or to any intellectual property rights arising under the PARiConnect site or the assessment tools, information or other content comprising or available on the PARiConnect site. All rights not expressly granted to you by these Terms and Conditions of Use are reserved by PAR. Any access or use of the PARiConnect site that is not expressly granted by this Agreement is precluded. PAR reserves the right at all times to suspend or terminate your access to the site, registration, or account, without notice, for any reason whatsoever, with or without cause, in the exercise of PAR’s sole and absolute discretion. Further, PAR reserves the right at any time and from time to time to modify the PARiConnect site, or any product or service provided by or made available on the PARiConnect site, or any product or service provided by or made available on the PARiConnect site, and their respective features and functionality, in whole or in part, without notice to you. PAR will not be liable to you or any third party for any modification, suspension, or termination of access to this site, or loss of related information or other content. PARiCONNECT is provided “as is” and “with all faults,” and without warranty of any kind, and use of PARiCONNECT is at the PAR Customer’s, and each user’s, own risk. to the maximum extent permitted by applicable law, PAR disclaims all express, and implied warranties, and conditions, whether by statute, common law, custom, course of dealing, course of performance, usage of trade, or otherwise, relating to PARiCONNECT including (but not limited to) all warranties and conditions of merchantability, merchantable quality, fitness for a particular purpose, title, lack of viruses, and non-infringement to the maximum extent permitted by applicable law, PAR makes no representation, warranty, or guaranty relating to the suitability, reliability, availability, timeliness, quality, accuracy, or completeness of PARiCONNECT, any data, information, record, or results obtained through or resulting from the use of PARiCONNECT, or the accuracy of the informational content, for any purpose, without limiting the generality of the foregoing, to the maximum extent permitted by applicable law, PAR makes no representation, warranty, or guaranty that PARiCONNECT will meet the PAR Customer’s, or any user’s requirements or expectations, that PARiCONNECT will be error-free, that any defects or errors will be corrected, or that the data, information, records or other results obtained from the use of PARiCONNECT will be accurate or reliable for any other purpose. Some states do not allow the exclusion of certain warranties, so the above limitations or exclusions may not apply to you. To the maximum extent permitted by applicable law, PAR shall not be liable to the PAR Customer, any user, or any other person for any special, incidental, indirect, collateral, consequential, exemplary, or punitive damages, whether in any action or contract, equity, strict liability, tort (including, but not limited to, negligence) or other theory of liability (including, but not limited to, breach of warranty) arising out of or in any way connected with or relating to the use or performance of or inability to use PARiCONNECT or any error, omission or inaccuracy contained in, any data, information, record or results obtained through or resulting from the use of PARiCONNECT or from any loss or corruption of data or other information or record, even if PAR has been advised of the possibility of such damages or such possibility was reasonably foreseeable including (but not limited to) damages for loss of use, for delay, loss of busines, loss of revenue, profits or savings, busines interruption loss, loss or corruption of data or other information or record, loss of privacy, and loss of goodwill, and liability to third parties, arising out of or in any way connected with or related to the use or performance of or inability to use PARiCONNECT or arising out of or in any way connected with or relating to the use or inability to use any data or other information, record, or results obtained through or resulting from the use of or inability to use PARiCONNECT, any loss or corruption of data or other information or record, or arising from any failure to meet any duty, including (but not limited to) any duty of good faith or to exercise commercially reasonable care, or arising out of any course of dealing, course of performance, usage or trade, or otherwise, even if PAR was advised of the possibility of such damages or if such possibility was reasonably foreseeable. Some states do not allow the exclusion of certain warranties or limitation of incidental or consequential damages, so the above limitations or exclusions may not apply to you. To the maximum extent permitted by applicable law, PAR’s total liability and obligation arising out of or in any manner connected with or relating to the PAR Customer’s or any users’s use or inability to use PARiCONNECT, or the results obtained from the use of PARiCONNECT is limited to direct damages which shall not in any event exceed one hundred dollars ($100.00) in the aggregate. To the maximum extend permitted by applicable law, this limitation applies regardless as to whether the liability is based on breach of contract, tort (including, but not limited to, negligence), strict liability, breach of warranty, or any other legal theory. The forgoing limitations and exclusions apply notwithstanding the failure of essential purpose of any remedy, and survive the termination of these terms and conditions of use or your right to use PARiCONNECT. To the maximum extent permitted by applicable law, you will not bring, request, join, or participate in a class action or class arbitration proceeding as to any claim, demand, suit or cause of action you may have against PAR arising out of, relating to or in any way connected with the PARiCONNECT site, your use of the PARiCONNECT site, or any test or other product or service obtained through the PARiCONNECT site, and you waive and relinquish any right you may now or in the future have to bring, request, join or participate in any lawsuit or arbitration or other proceeding on a class action or consolidated basis or to participate as a representative or member of any class of claimants pertaining to any claim, demand, suit or cause of action arising out of, relating to or in any way connected with your use of the PARiCONNECT site, or any test, or other product or service obtained through the PARiCONNECT site. This provision does not constitute a waiver of any of your rights and remedies to pursue a claim individually, and not on a class action, class arbitration or consolidated basis or as a representative or member of any class of claimants. Each paragraph, section, provision, sentence, and part thereof of these Terms and Conditions of Use is severable from each other paragraph, section, provision, sentence, or part thereof of these Terms and Conditions of Use, and the invalidity or unenforceability of any such paragraph, section, provision, sentence, or part thereof, shall not affect the validity or enforceability of the balance of these Terms and Conditions of Use. If a court of competent jurisdiction determines that any provision of these Terms and Conditions of Use is invalid, unreasonable or otherwise unenforceable in whole or in part under applicable law, the parties intend that the provision shall not thereby be declared null or void or be otherwise determined to be unenforceable, but that the court shall modify, and these Terms and Conditions of Use shall be deemed to have been so modified, that provision to the minimum extent necessary to reflect as nearly as possible the original intentions of the parties in conformity with applicable law, and that such modification shall apply only with respect to the operation of that provision in the jurisdiction for which that adjudication or determination is made, and shall not in any manner affect or render invalid or unenforceable that provision in any other jurisdiction or any other provision of these Terms and Conditions of Use in that or any other jurisdiction. The validity, construction, enforcement and interpretation of these Terms and Conditions of Use is to be governed exclusivlely by the substantive laws of the State of Florida, without application of its conflict of law principles, and controlling federal law of the United States of America. The United Nations Convention on Contracts for the International Sale of Goods will not apply to the validity, construction, interpretation, or enforcement of these Terms and Conditions of Use. Any legal action, suit or proceeding, whether in contract, tort or otherwise, arising from or relating to the PARiConnect site, or the validity, construction, enforcement and interpretation of these Terms and Conditions of Use of your use or failure to use the PARiConnect site or any product or service provided by or made available on the PARiConnect site shall be brought solely in the Thirteenth Judicial Circuit, in and for Hillsborough County, Florida, or in the United States District Court for the Middle District of Florida, Tampa Division, and each party irrevocably consents to and submits to the jurisdiction of those courts, and irrevocably waives any objection which such party now or hereafter may have to the institution of any such suit, action, or proceeding in those courts, and further irrevocably waives any defense or claim that such suit, action or proceeding in any such court has been brought in an inconvenient forum or improper venue. Copyright © 2017 by PAR, Inc. Any rights not expressly granted herein are reserved.